Graham Marsh (better known as Swampy) was born in Kalgoorlie and raised in the suburbs of Perth. He was selected in the under 15 cricket side for Western Australia. He won the Handicap Championship of the Gosnells Golf Club within twelve months of joining the club. In 1964 he won the Western Australian Junior Championship. He was the Cottesloe Champion from 1964 to 1967 and runner up of the Australian Amateur Championship in 1967. Graham trained as a maths teacher. He became a golf professional in 1969. 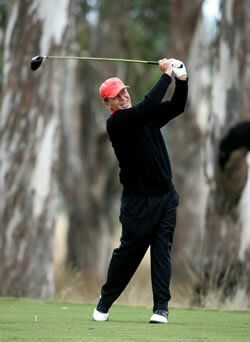 He won the Western Australian Open in his first year as a professional golfer. The winner of more than 64 tournaments internationally and successful on all five of the world's major tours, Graham has been one of Australia's most successful golfing ambassadors since turning professional. His victories include the World Match Play Championship, German, Dutch, Swiss and numerous Open Championships on the European and Asian Tours, the Dunlop Phoenix and Visa Taiheiyo tournaments in Japan, the Heritage Classic in the United States and the Australian Masters and PGA Championships in his homeland. Graham is now competing with tremendous success on the lucrative United States Champions tour where his six victories include the prestigious US Seniors Open in 1997. Graham was voted Australian Sportsman of the year in 1977. Awarded the MBE (Member of the British Empire) by Queen Elizabeth II in 1984 in recognition of his “services to golf” Graham was for six years Chairman of the PGA Tour of Australasia. 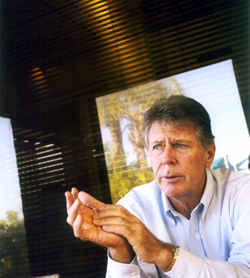 Graham has been instrumental in the introduction of a number of professional golf tournaments to the Australian Tour schedule. As one of golf's most travelled players, his in-depth knowledge not only of the game itself, but also the intricacies of golf design and the requirements of the developer, is a tremendous asset and benefit to every Golf Course Development. The combination of Graham's experience and passion for Golf Course Architecture, along with his commitment and “hands on” approach, assures an innovative and thorough approach to the Golf Course planning, design, marketing and construction of all projects.